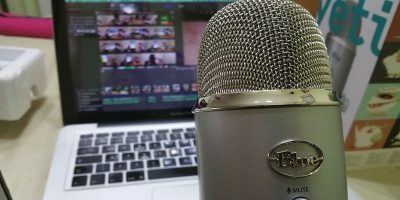 Microsoft introduced the Shared Experiences feature in Creators Update (v1703). 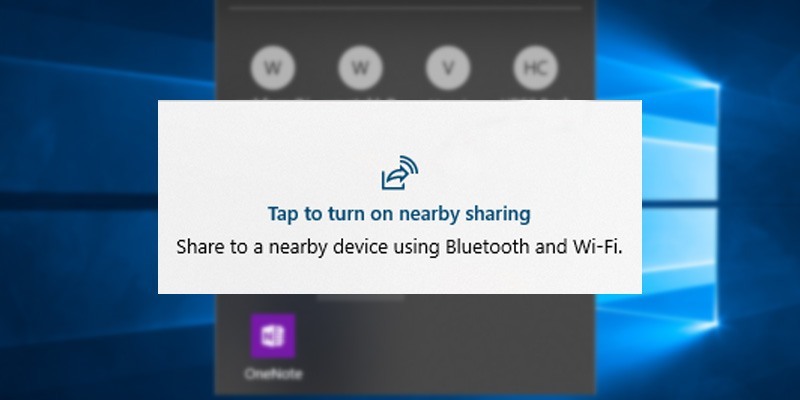 This feature allows you to share web links, messages, app data, etc., with other Windows 10 PCs or linked Android phones. 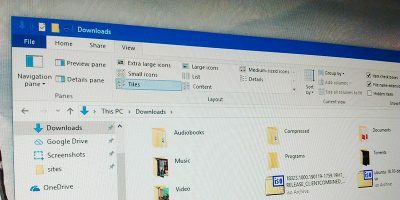 Additionally, the shared experiences feature also allows you to share or transfer videos, photos, and documents with other Windows 10 devices over Bluetooth or Wi-Fi. 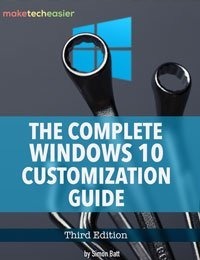 This is quite useful if you have multiple Windows systems. 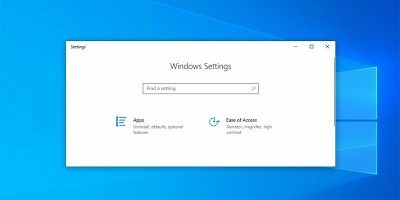 But if you are not using this feature or don’t want to make your Windows 10 system discoverable by other devices on the same network, here is how you can disable the shared experience feature in Windows 10. If you just want to disable shared experiences for only your user account, you can do that from the Settings. The benefit of this method is that all other users on your system can still access and use the shared experiences feature. 1. First, search for “Settings” in the Start menu and open it. You can also use the keyboard shortcut Win + I. That is it. 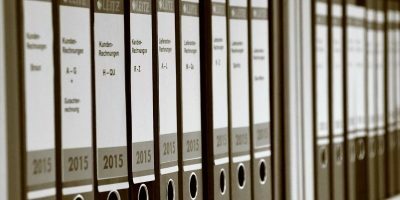 You’ve disabled shared experiences for your user account. 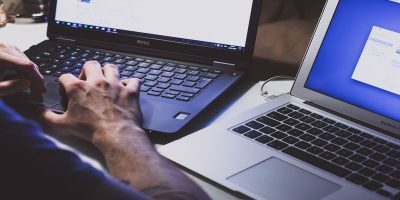 If you want to disable shared experiences for all users on your system, then the best method is to use the Group Policy Editor. This method is particularly useful for network administrators. 2. 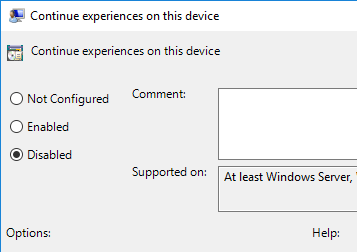 On the right panel find and double-click on the “Continue experiences on this device” policy. 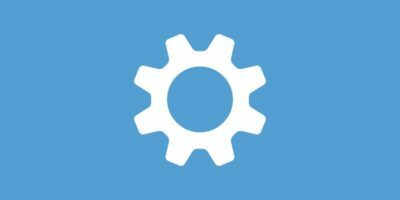 This is the policy that lets you control the state of Shared Experiences on the Windows system. 3. As per the policy info, select the “Disabled” radio option, and click on the “Apply” and “O,” buttons to save changes. 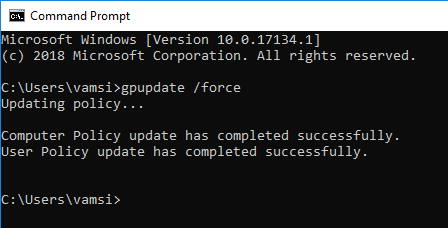 To make the changes take effect, either restart your system or open Command Prompt as admin and execute gpupdate /force to force update Group Policy changes. If you want to enable shared experiences again, either select the “Enabled” or “Not Configured” options and you are good to go. 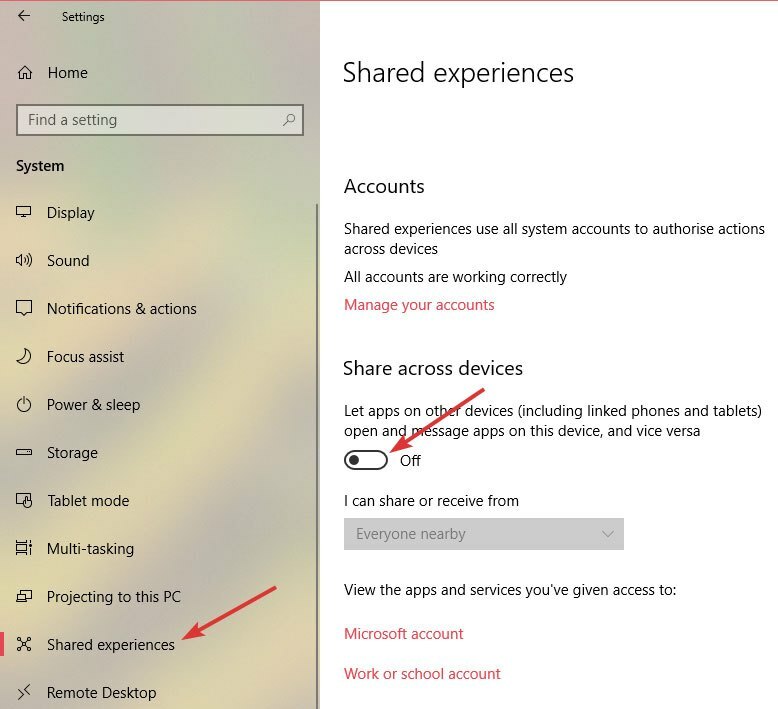 If you select “Enabled,” you are explicitly telling Windows to enable shared experiences. 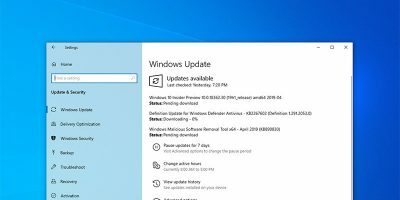 If you select “Not Configured,” Windows will fall back to its default behavior. i.e. enabled. 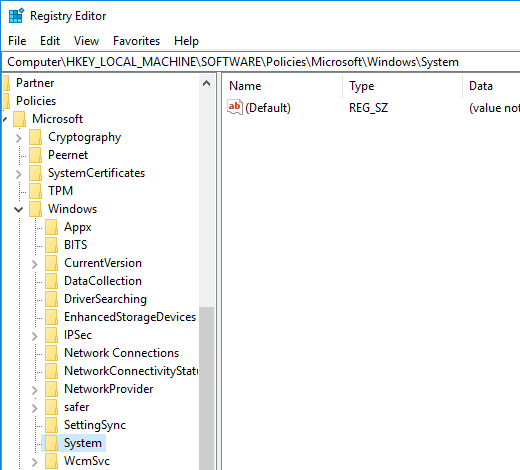 If you don’t have access to Group Policy Editor, you can achieve the same thing by editing Windows Registry. It’s not hard, but you need to create a key and a value. So, just to be safe, back up the registry before editing. 1. 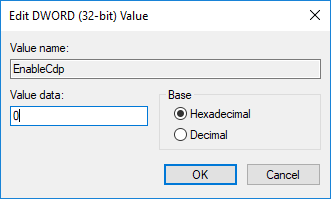 Search for “regedit” in the Start menu, right-click on it and select “Run as administrator.” This action will open Registry with admin rights. Now, go to the following key. For ease of use, you can simply copy and paste the below path in the address bar. 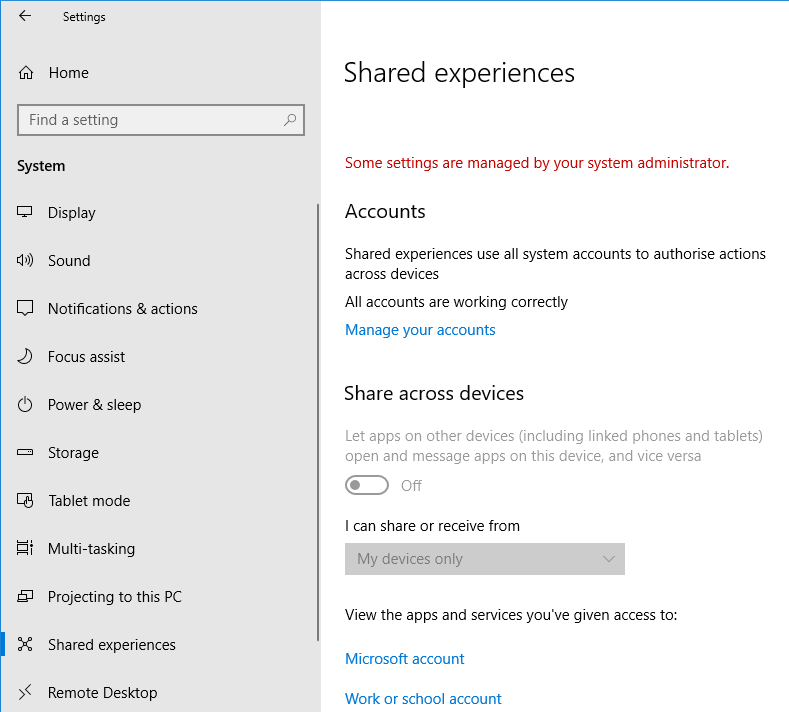 That’s it, you’ve disabled shared experiences for all users in Windows 10. 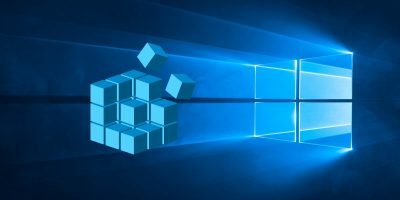 Comment below sharing your thoughts and experiences regarding using the above methods to disable shared experiences in Windows 10.